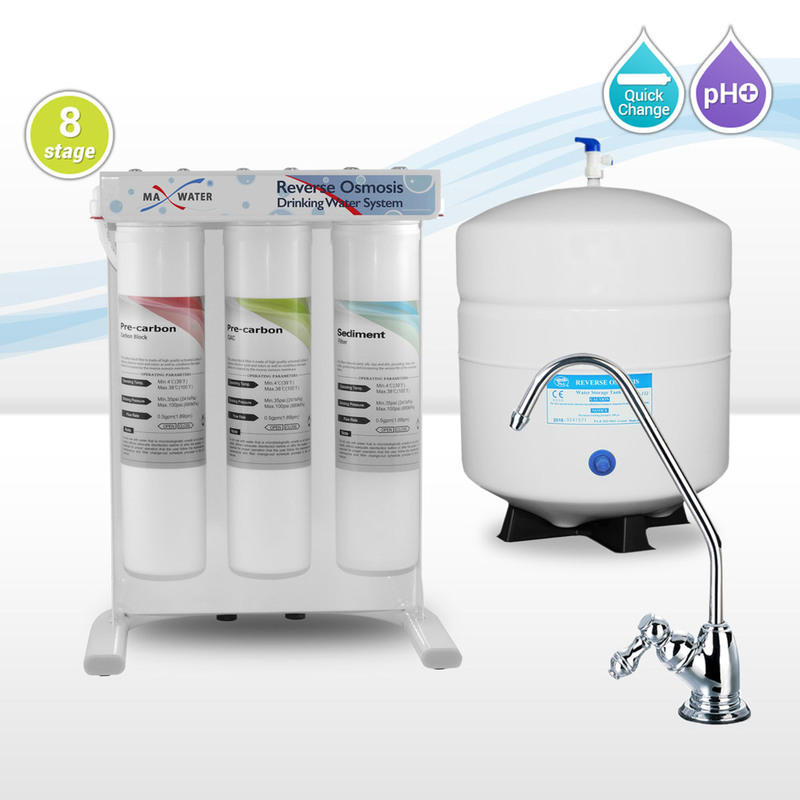 Our 8-stage under-sink reverse osmosis system gives you pure, fresh tasting water. 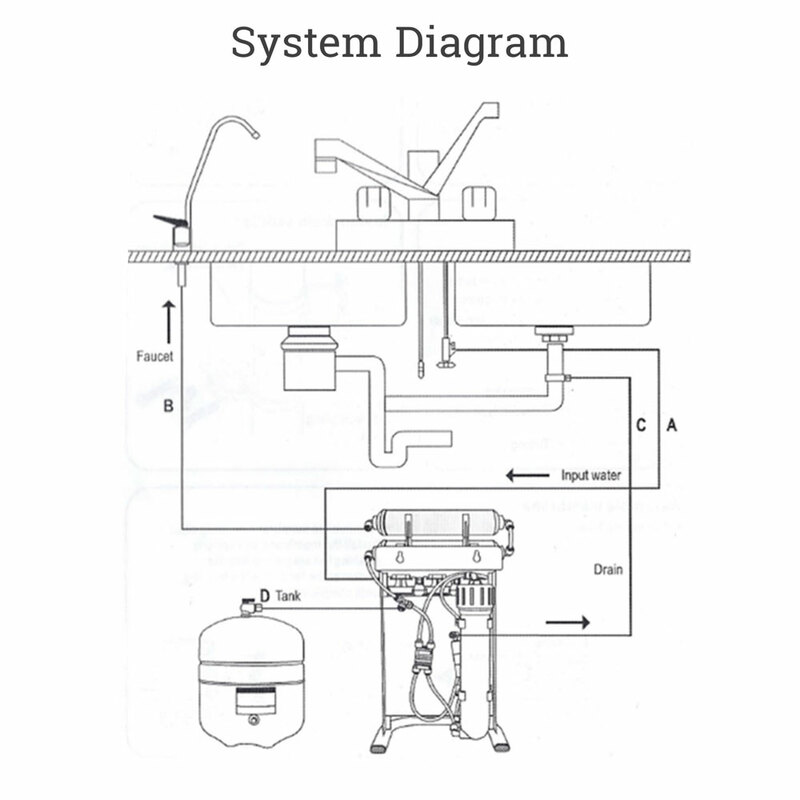 This system is great for household and kitchen use and for creating pure water for ice makers and refrigerators. 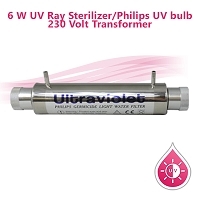 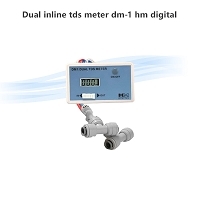 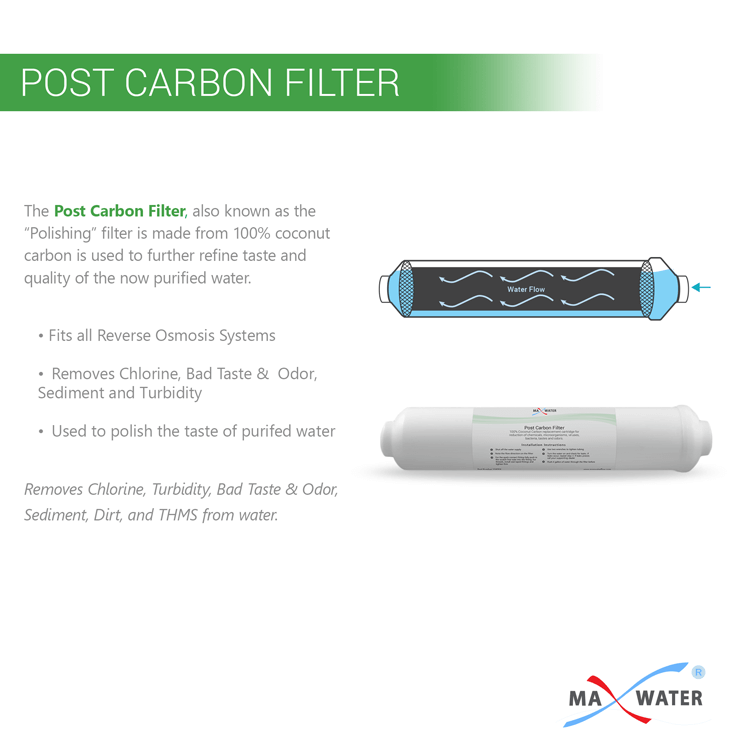 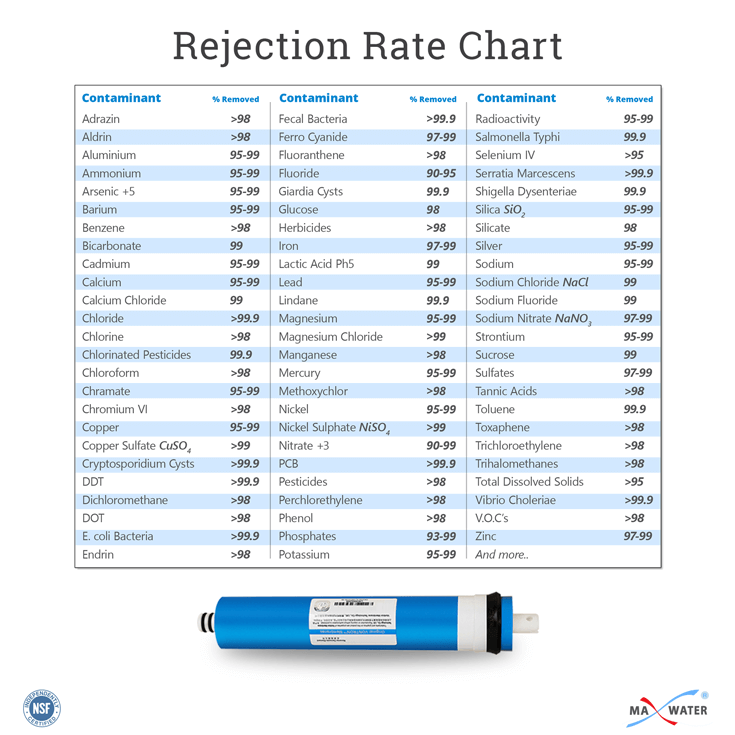 Removes silt, dirt and chlorine and also filters out 95% of impurities including lead and mercury. 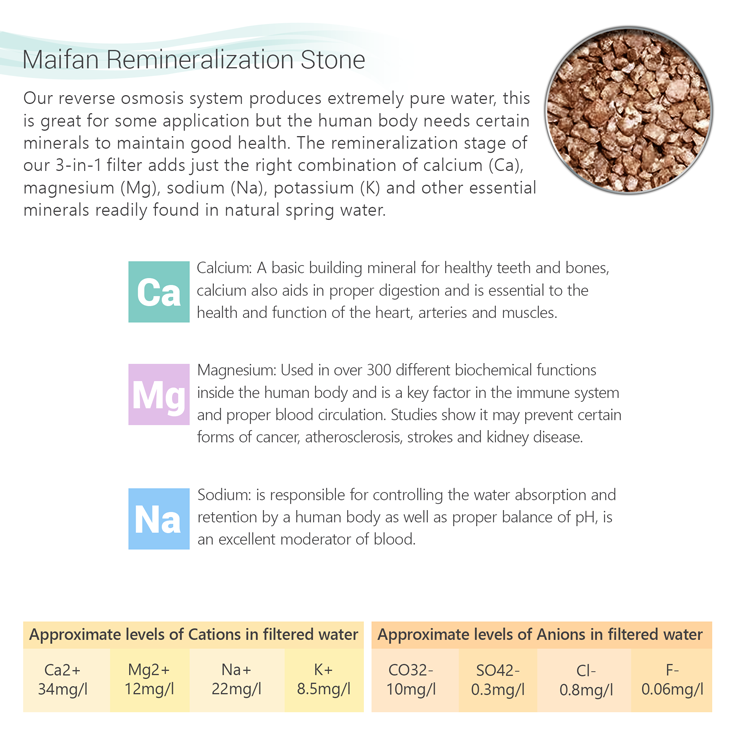 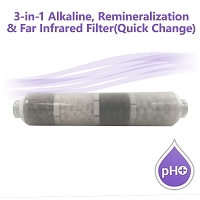 The purified water is then passed on to the 3-in-1 Alkaline/Far Infrared/Remineralization Filter also changes the pH of the water to be more alkaline and adds back in essential minerals like magnesium and calcium. 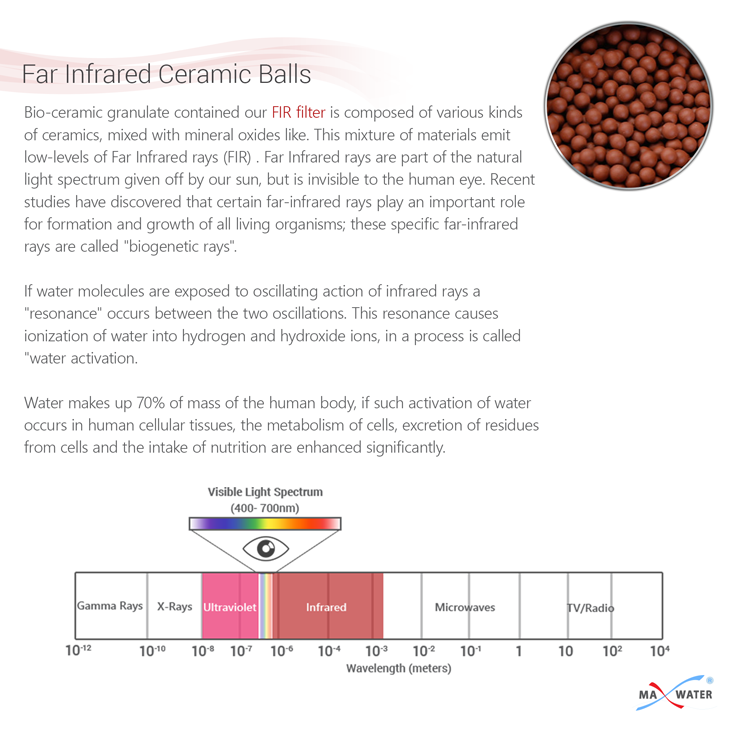 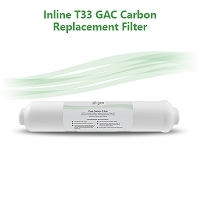 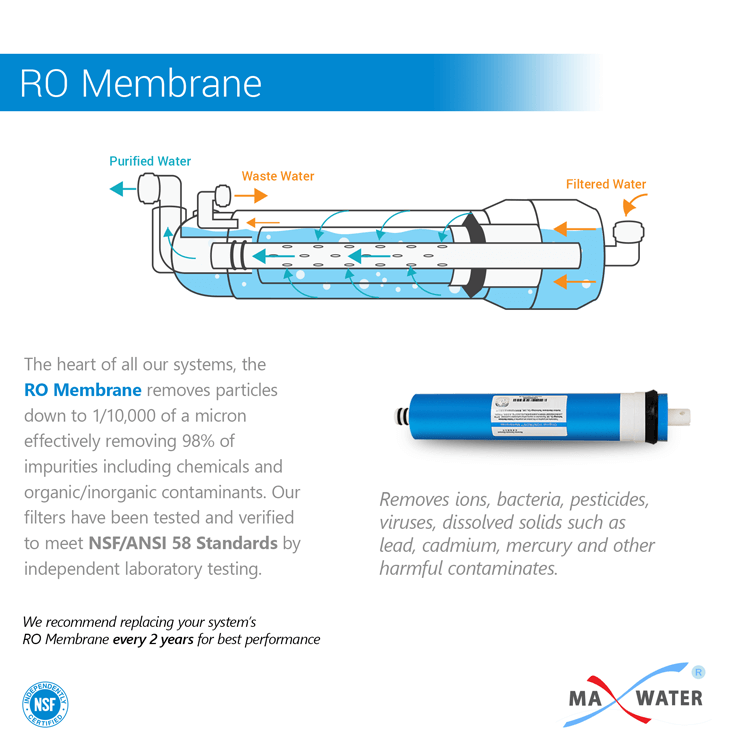 The Far Infrared media in our 3-in-1 filter also has anti-bacterial/biotic properties to further purify the water. 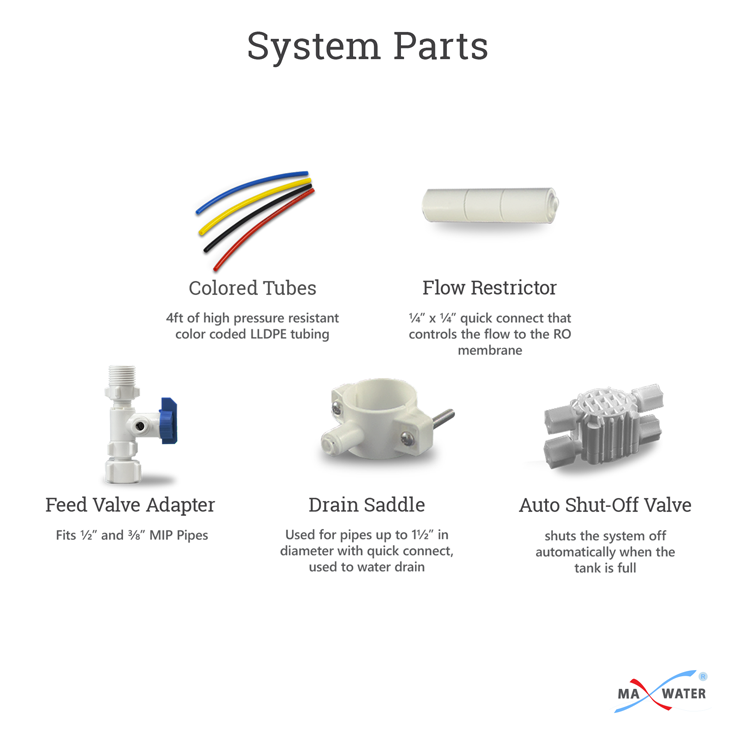 This system uses our quick-change pre-filter cartridges for easy change outs. 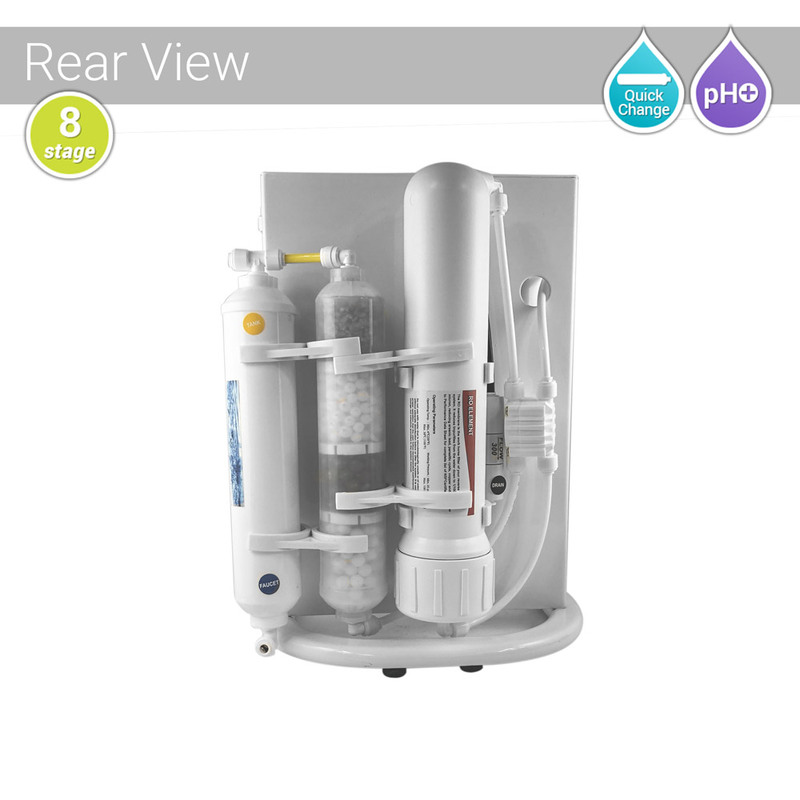 Simply twist to unlock and remove the filter, and twist to lock in the new filter. 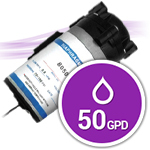 Please Note: For higher capacity configurations (150 GPD or more) we highly recommend adding a booster pump to achieve maximum output from the system. 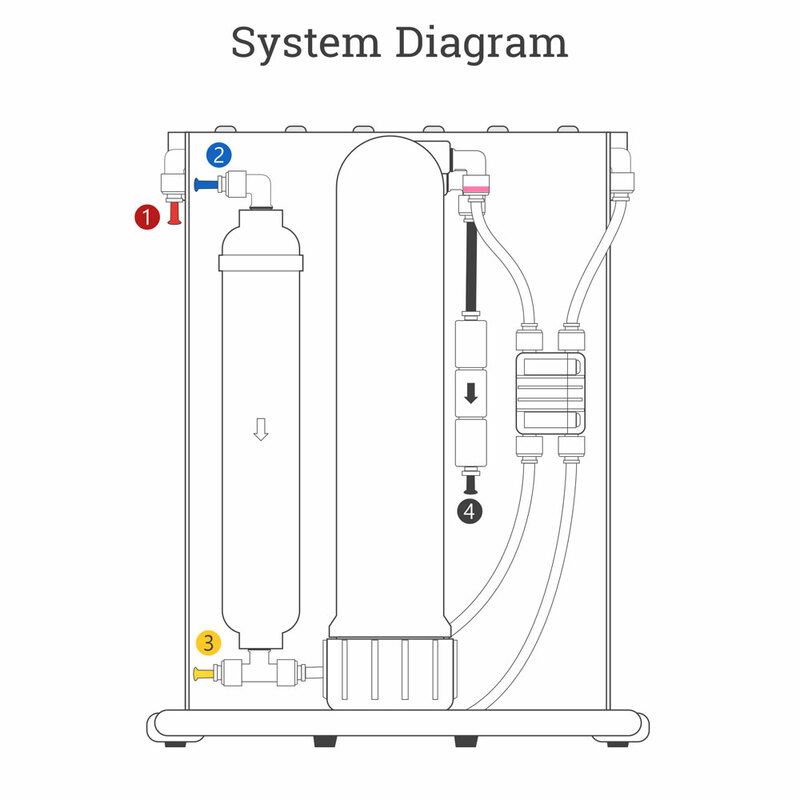 System: Length 11" x Height 15" x Depth 6"
Storage Tank: Height 14" x Diameter 11"
Select the booster pump option and we'll attach the booster to your system. 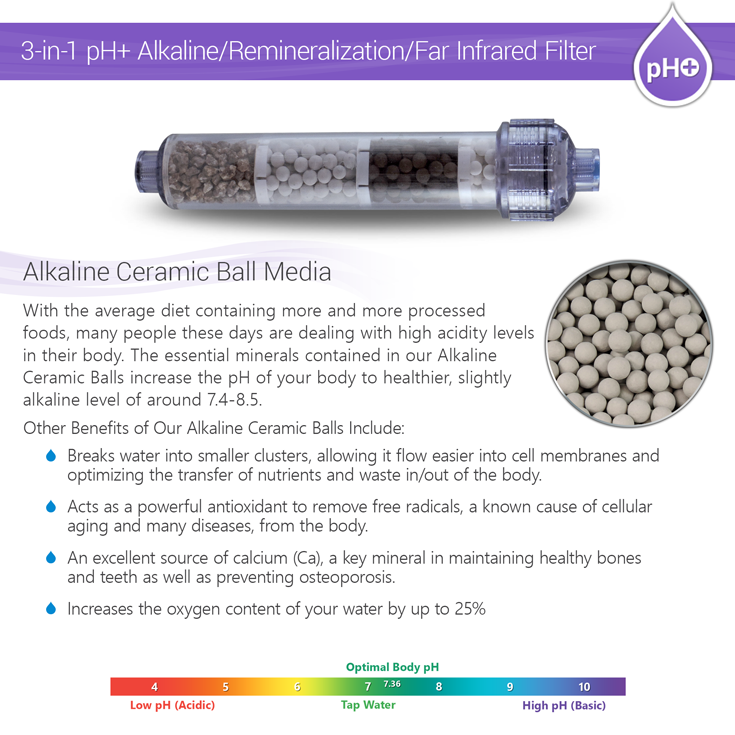 We are absolutely pleased with this product and enjoy using it every day. 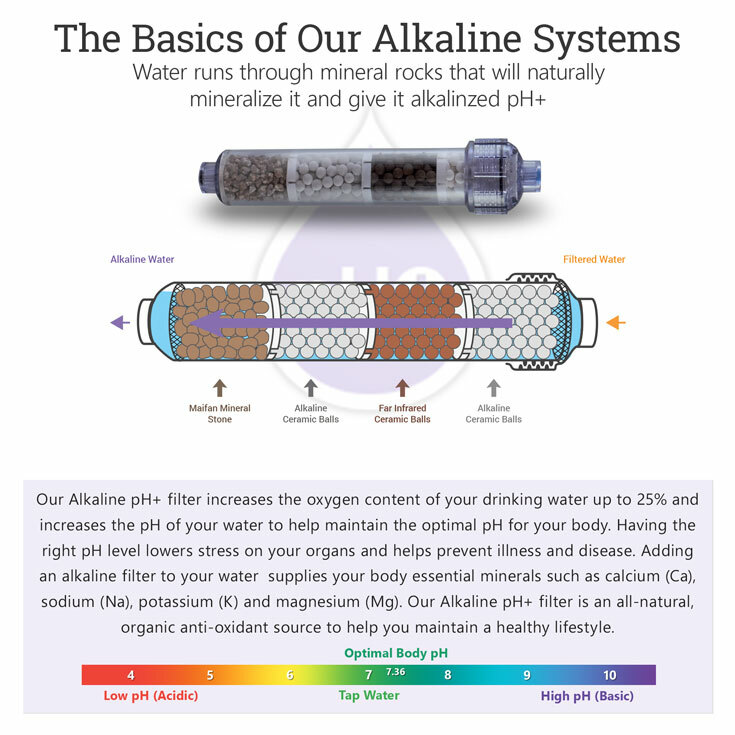 Especially the multi-stage Alkaline mineral filter which leaves us less thirsty. 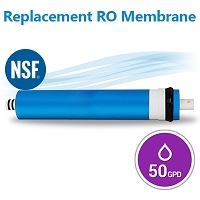 Hands down way superior to the GE Smartwater RO unit that this replaced!! 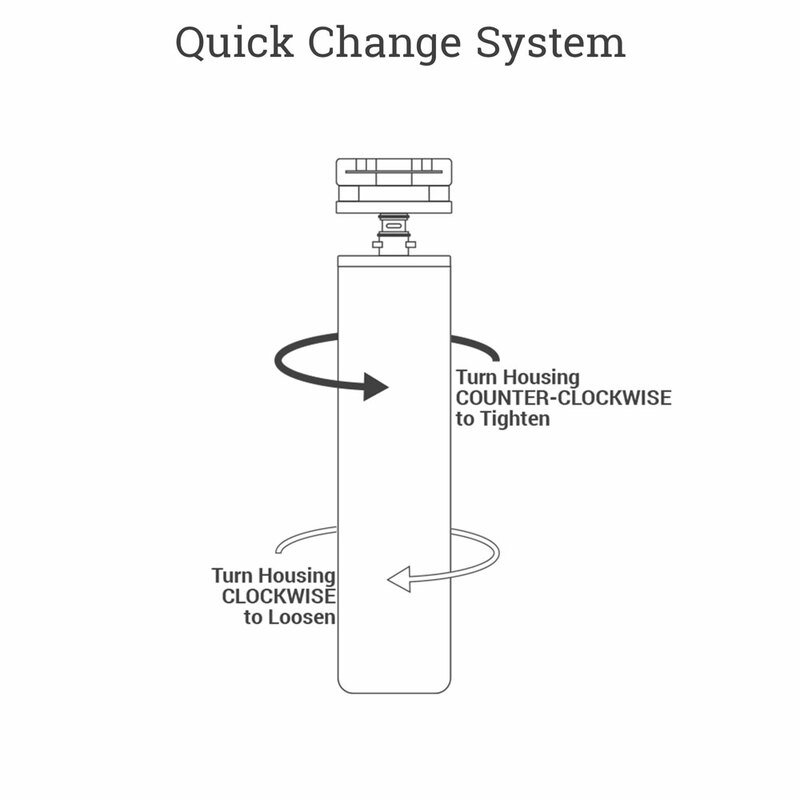 Our family is active in sports, and drinks lots of water, so the larger water capacity/flow rate is very important to fill the kids water jugs. 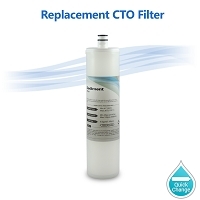 Another great feature is the quick change filter.